On Valentine’s Day, my supervisor treated the office to lunch. For me, that’s music to my ears, because it usually means a delivery of cheeseburgers from Roxie’s Grocery. However, a co-worker who I only see during events at the FedExForum wasn’t thrilled about that. For whatever reason, she feels that Roxie’s is “dirty.” By that, I didn’t know if she was referring to its hygiene or its location in a poor neighborhood. Regardless of her reason, I suggested a few alternatives that might appeal to her. 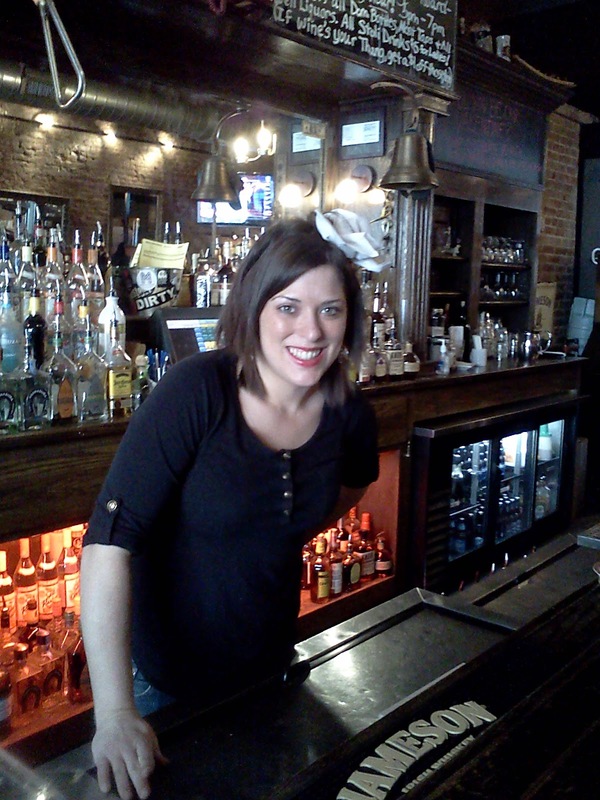 Eventually, she settled on The Green Beetle, one of Memphis’ oldest bars/taverns. With the choice made, I grabbed the menu off our break room’s bulletin board (one of many that we have) for her to peruse. Surprisingly, it turns out that my co-worker is a vegetarian, so she obviously chose the Veggie Plate. My supervisor, who sprung for our lunch, got the Beetle Burger. 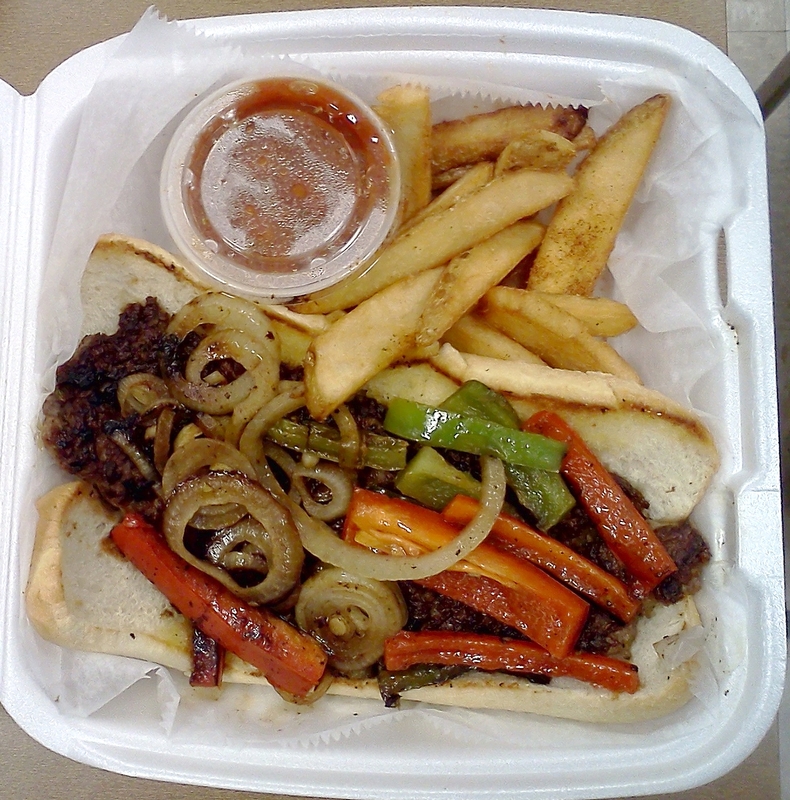 I decided to put aside my dieting for a Sausage and Pepper Po’ Boy sandwich. I might have to work a little harder to burn off the extra calories, but I believed it was worth it. As it turned out, most of our expectations were met. The picture displayed above is a Beetle Burger that I got in November 2011. 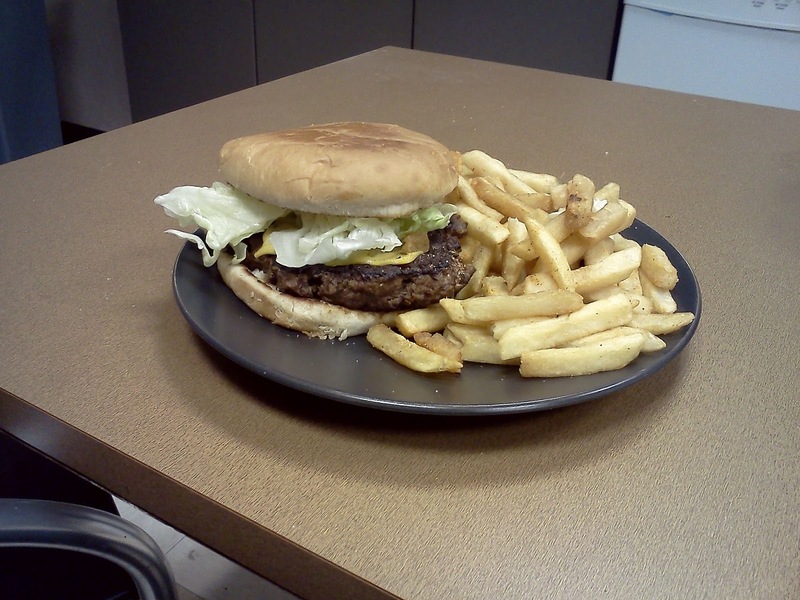 I thought about getting a picture of my supervisor's burger, but I didn't want to be an annoying tool. By the way, the last two words in the previous sentence will likely be quoted in another blog (or on Twitter & Facebook) by someone who hates me. I'm starting to wonder if he has a man-crush on me. After all, he lets his hair down whenever he sees me (just kidding; it's always down). It didn’t take long (about twenty minutes) for The Green Beetle to deliver our order. I was anxious to dig into my lunch as well as my co-workers. My boss’ major concern about her order was the size of her burger. After getting a Double Roxie Burger the last time, she hoped the Beetle Burger would be more conservative. Although I thought the burger featuring a third-pound of ground beef was a decent size, my boss didn’t agree. 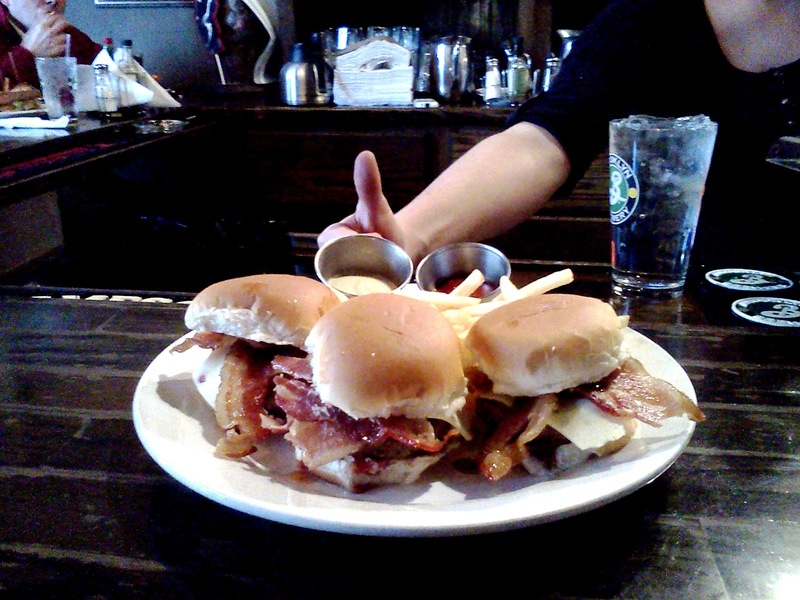 It seems that sliders are more her speed (maybe we should order from Bardog Tavern next time). Although the size was her biggest gripe, she also didn’t like the burger’s honey-flavored wheat bun. She thought it was too sweet for her taste, something that I agree with. With the burger having the typical seasoning and accoutrements such as lettuce and tomato, a honey-flavored bun doesn’t seem suitable for it. It would have been helpful if The Green Beetle offered a more traditional bun for my boss, but she seemed content with what she had. From what I remember, I believe the burger is decent yet unremarkable, other than the bun. 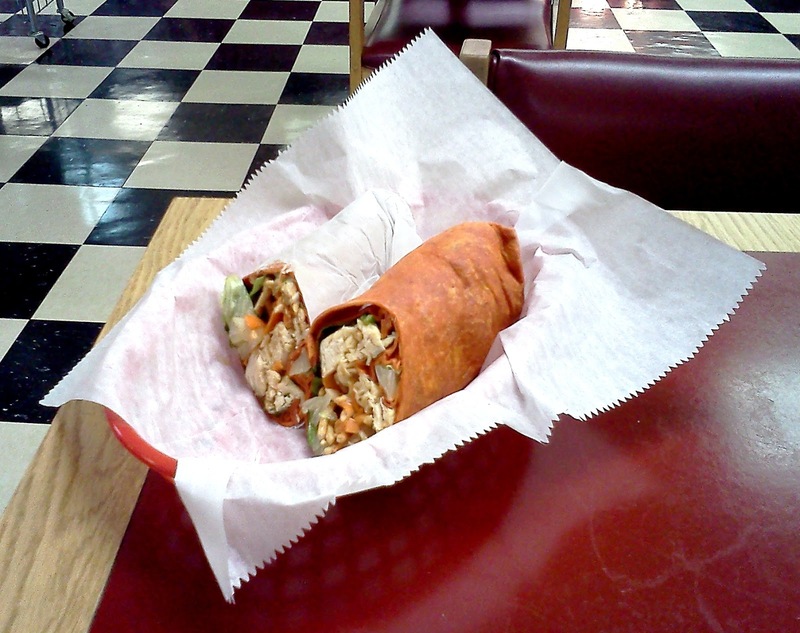 Although it will never be a favorite, I can see myself ordering it again if I’m hanging out at The Green Beetle’s bar. The Veggie Plate that my co-worker got seemed okay, according to her. For her plate, she got collard greens, mashed potatoes and something from America’s favorite cash crop, Mac ‘n Cheese (this, along with the pork-seasoned greens, disqualifies the plate as vegetarian/vegan). While my co-worker liked her lunch, she pointed out that the mashed potatoes’ flavor was unique. 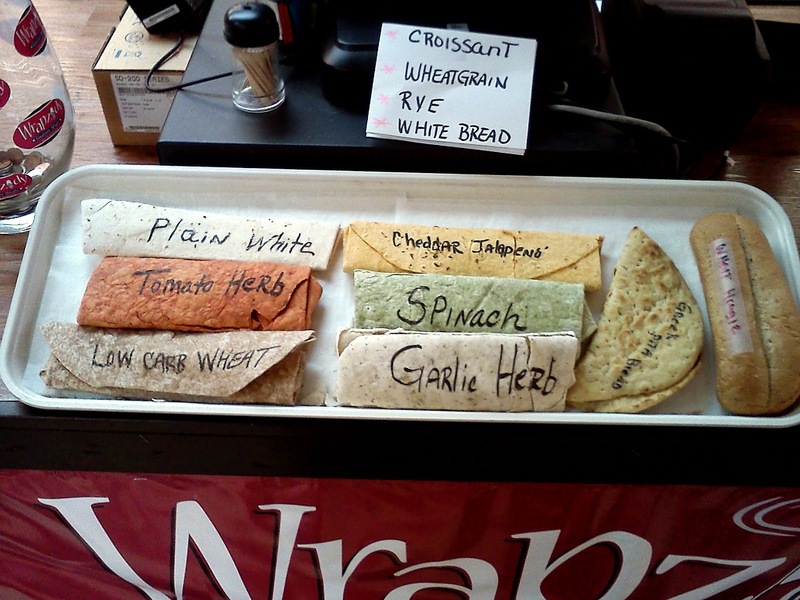 She believed that the seasoning in it was sage or something similar (a reviewer on Urbanspoon pegged it as horseradish). I wished I could’ve gotten a taste so I could judge it, but I left her alone and focused on my lunch. SIDE NOTE: Because the Veggie Plate wasn't mine, I decided against opening the food containers. I didn't want anyone accusing me of doing something "funny" with my co-worker's lunch, even though most of the Box Office staff is aware of this blog. The Sausage and Pepper Po’ Boy sandwich was pretty decent. It consisted of a patty of Italian sausage that had the fennel flavor that most would expect. The sautéed mix of red and green peppers and onions was the perfect match for the sausage, for the combined taste was quite pleasant. I particularly liked the onions, for they retained some tartness despite being grilled. The hoagie bun, unlike its honey-flavored counterpart, worked well for the sandwich that I’m likely ordering again. Overall, it seemed that everyone was at least content with what they got from The Green Beetle. Is it good enough to get us to switch from Roxie’s? Personally, I’m more of a burger guy so I’ll favor Roxie’s. However, I’m not a one trick pony when it comes to food so I’m open to anything. That said, I’ll just say the FedExForum Box Office has two good options to order lunch from. Maybe next time, we might mix it up and order from both (with Bardog sliders for my boss). It could get interesting. Recently, I heard about MacStell's, a cafeteria located inside the Memphis Light, Gas and Water (MLGW) administration building. The restaurant is open for breakfast and lunch with a basic Soul Food-leaning menu. The reason for my visit was to continue my quest in finding cheeseburgers in the unlikeliest of places. If there is any place that fits the bill, it’s the headquarters of a utility company. 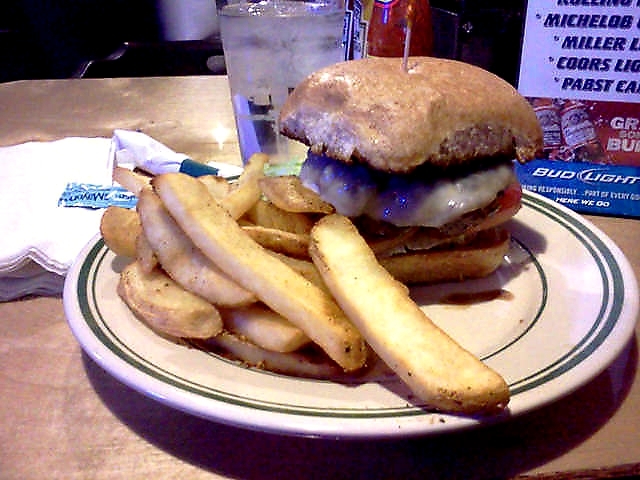 Even if I wasn’t on a burger quest, my curiosity urged me to get acquainted with MacStell's. As with a lot of my visits, this one wasn’t planned. In fact, I wasn’t scheduled to work this day (I'm normally off on Fridays), but my supervisors at the FedExForum wanted me to get additional training in box office operations. So, instead of whooping it up with one of my favorite bartenders (Brittany of Bardog Tavern), I completed a rare forty-hour work week. Because of this commitment, I’ve decided to have fun another way by continuing my burger quest. As it turned out, MacStell's was something of a mixed bag of experiences. 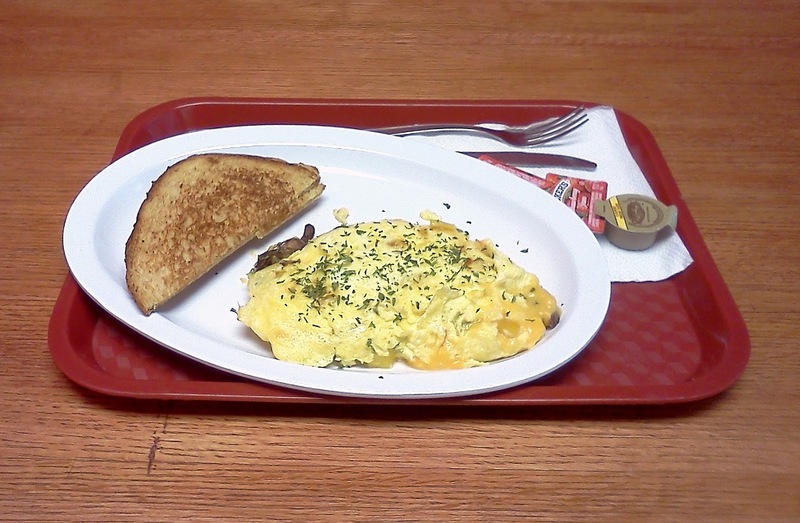 For starters, I made a brief stop at MacStell's for breakfast. I didn’t get anything fancy or out of the ordinary. My choice of breakfast was the Daily Special that consisted of scrambled eggs, sausage, a hash brown, toast and tea for $5.45 (including tax). The only thing “special” about this was the price, which might have been too high given what I got. The breakfast was so-so, for everything was pre-cooked and setting on a heated countertop. The scrambled eggs were unseasoned and bland, needing a lot of black pepper for flavor. 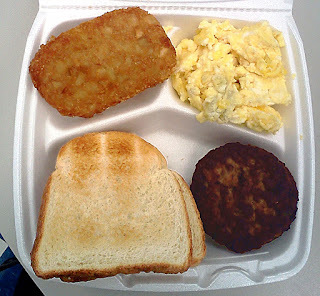 The hash brown patty was likely frozen and re-heated, about on par with a typical fast food restaurant. 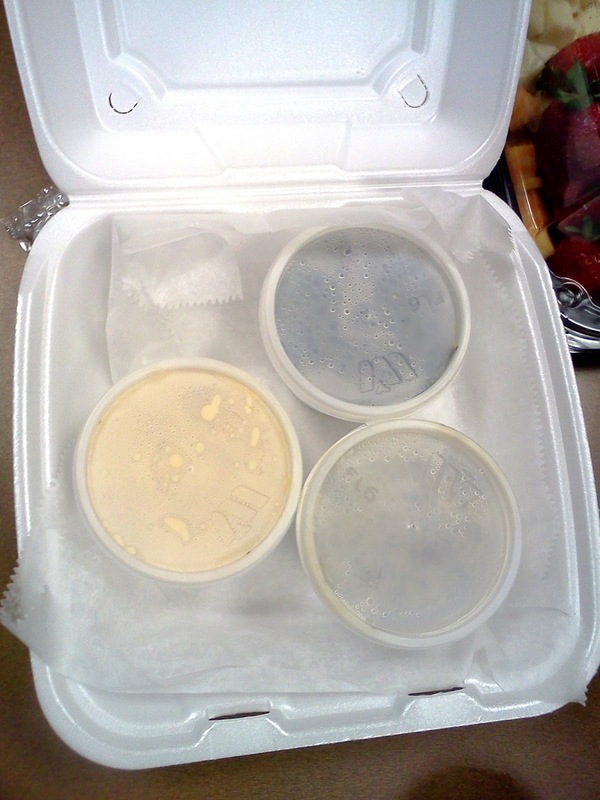 The sausage patties were nothing special either, and the coldest of everything in my Styrofoam box. The toast is what it is, which was good enough to serve its role in complementing the meal. The sweet tea was decent, satisfying and the highlight of a lackluster breakfast. viewing pleasure. Picture taken at the FedExForum Box Office break room. Having wetted my appetite, I was anxious to return for a cheeseburger. I'll admit that I didn't expect much, especially after my experience at the Flying Fish. My hope was for a good, well-made, no frills burger that would quench my appetite. What I ended up with was a cheeseburger that was huge and tasty, but not a home run. The size of the beef patty surprised me, for it was a little over a third of a pound. Initially, I thought I found another version of a Roxie Burger, but that sentiment changed after I took the first bite. The beef kind of tasted like the meat in a Cave's cheeseburger, which some have speculated that it has seasoning of spices found in sausages. MacStell's falls along those lines, but not all in a good way. This burger's flavor leaned more toward sausage with a hint of Worcestershire sauce, or something similar. Also, the meat was dry (as in not juicy/greasy), despite coming fresh from the kitchen. Not helping matters was a cheap burger bun that came apart as I got halfway into the burger. In addition to the beef and bun, the burger had American cheese, lettuce, tomato, mayo and mustard (and onions, which I rejected). 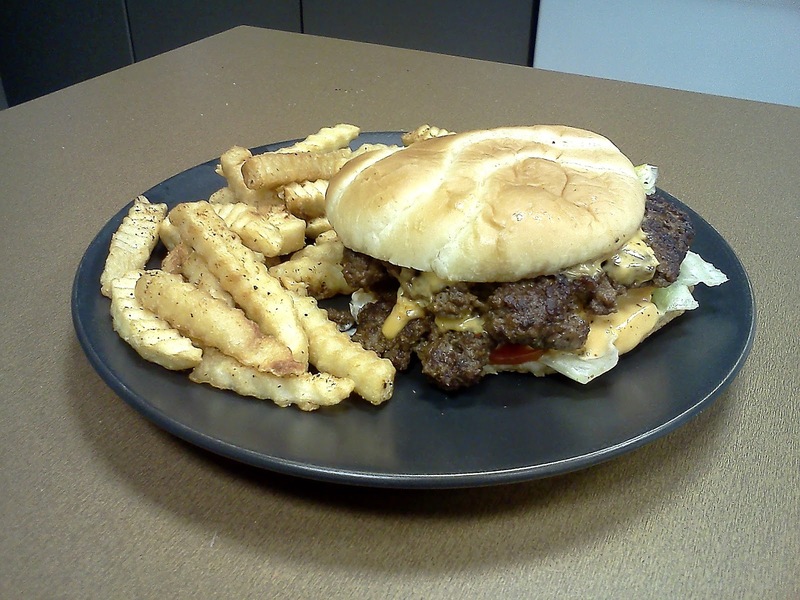 Overall, I would give MacStell's cheeseburger a "2½" on a five-point scale. It wasn't a terrible burger, but not nearly as good as other nearby places such as Dyer's and Hooters. In fact, if I had gone to Dyer's, I could have gotten a much better burger for only a little more (by the way, I paid $6.56 at MacStell's). To sum it up, the MacStell's cheeseburger is adequate and nothing more. SIDE NOTE: While waiting over twenty minutes for my burger (despite being promised it in half that time), I noticed a tip jar near the cash register. Given that this is a cafeteria without servers waiting tables, I didn't feel compelled to give anything. No offense to the kitchen staff of MacStell's, but you guys make at least minimum wage, which is far more than the rate ($2.13 an hour) that servers get. Unlike you, servers actually need tips that make up the bulk of their income. Although I sympathize with your plight, I didn't see anything in your operations that deserved a gratuity. Just sayin'. The fries were by far the best thing that I had at MacStell's. Seasoned with a dry rub, the fries were (to coin a phrase) greasy fresh and slightly crispy. On its own, the fries make for a great snack that I could chomp on all day. I really liked them, for the fries were the salvation to a mediocre burger. In all, my two trips to MacStell's were a somewhat decent experience. Despite its low price menu, I can't see myself eating there on a regular basis. For me, I prefer quality over cost when it comes to restaurants. For example, I would rather pay nine dollars for a cheeseburger from Majestic Grille that is well prepared and tastes great. I don't mind paying extra if it's worth it. Then again, I can defy that reasoning by getting a delicious Roxie burger for about the same price that I paid at MacStell's. However, I have no complaints, for at least I satisfied my curiosity about a place unknown to most of Memphis' Downtowners. 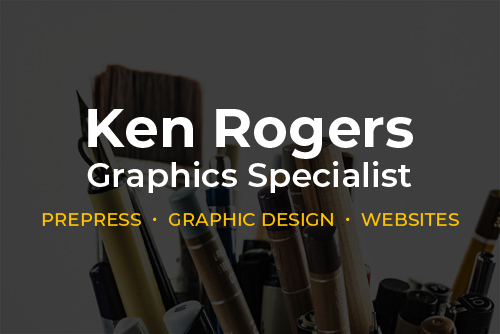 Compared to pricier establishments like those on Beale Street, it is an inexpensive alternative for low wage people like me who live on a budget. Therefore, on days when I have only a few dollars to spare, I'm likely having lunch in MLGW's house. That is, unless I have the urge to whoop it up!